Do you know that each second almost 1,000 photos are uploaded to Instagram? It means that when you finish reading this article, Instagram will become richer by nearly 200,000 pictures. And that is just one platform. With this passion for images, it is not surprising that file uploading has become essential for the majority of websites. Almost every service lets you upload stuff and manipulate it. File uploaders are not just used for images. They are designed to operate with different formats, including doc, pdf, txt, etc. Consider Fine Uploader and Droply.js. Fine Uploader is a popular, time-tested script that comes with numerous helpful features such as a progress bar, drag and drop area, file chunking, integration with mobile cameras, and most importantly a validator. The latter is increasingly vital since you can specify restrictions applied to size, format, number of files to download simultaneously and dimension. What’s more, you are even welcome to create your own rules for validation. Unlike the previous example, Droply.js is less sophisticated. I dare say it is hugely oversimplified. However, it supports jpg, mp4, mp3, png, gif, txt, doc, pdf, and docx and has a clean and intuitive interface with a relatively big area to drop files. Being created with pure jQuery it easily integrates with forms. It is enough for small- and mid-sized projects. They are lightweight and dependency-free, and Filepond has an image optimization and conversion instrument. However, they do not support generic formats and are limited to images. This can be enough for many projects. Another great tool to consider is Uppy.io. 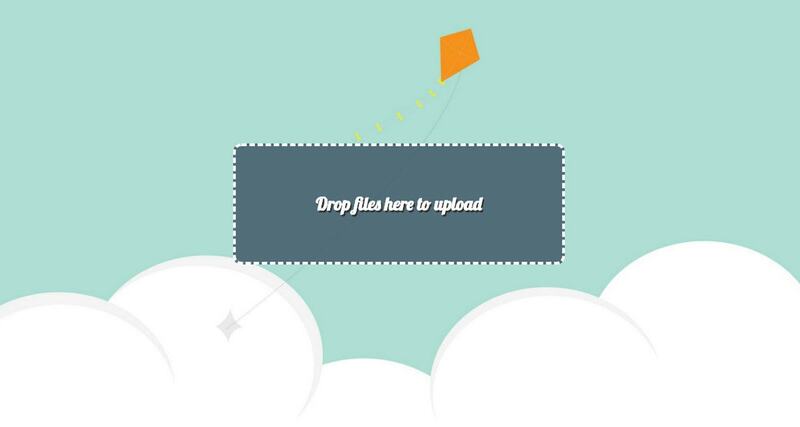 It is a powerful file uploading library that can fetch files from Google Drive, Instagram and Dropbox. Its main advantage is that it also comes with several external plugins that can greatly improve functionality. 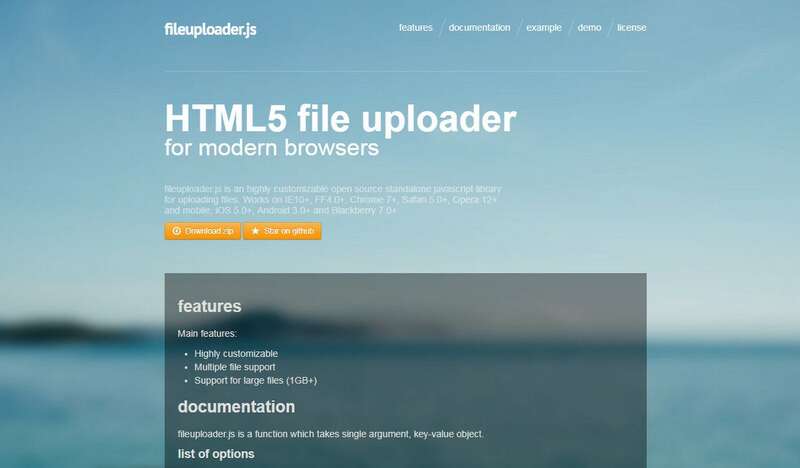 File uploading is available by default in HTML. It is a generic DOM element. It has a primitive interface represented as a basic button that opens up a dialog window where you can choose a file. Consider pens by André Rusakow or Boris Karastanev. Both personal projects depict carefully crafted interfaces of standard file uploading. They have a dignified and even stylish appearance, but nothing more. 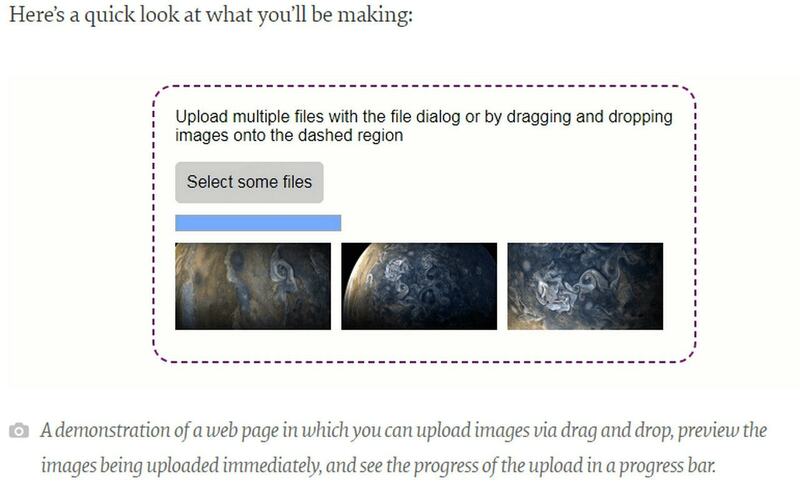 PekeUpload, much like Custom drag file upload by Aaron Vanston, was made with Bootstrap. It leverages classes and can be quickly worked into any project created on top of this boilerplate. One more thing to do is to familiarize yourself with configuration options. It is vital to have an ability to set a limit for size and number of files to upload simultaneously. These tiny preventive measures can save your platform from unintentional, yet destructive, user actions. 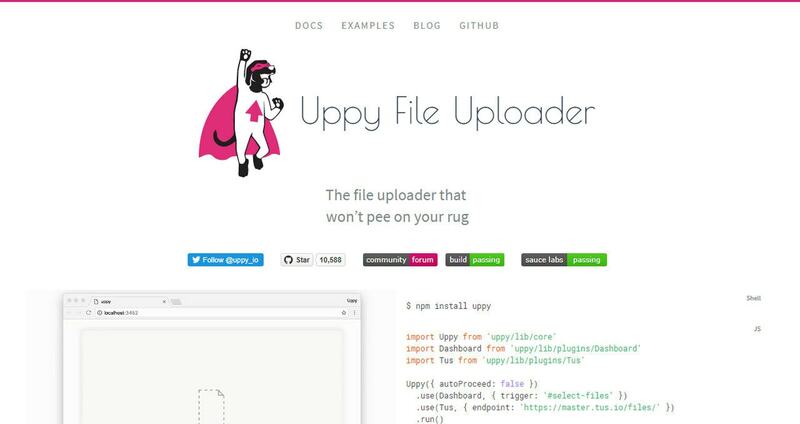 Those who find the Uppy.io too complicated can opt for simpler solutions like HTML5 File Uploader, HTML5 Drag & Drop Ajax File Uploader or jQuery Ajax File Uploader Widget. The script by Devbridge Group speaks for itself. It is created with HTML5, has a drag and drop option and uses Ajax for seamless loading in the background. The concept by Daniel Morales is a lightweight version of a basic uploading file that uses async technologies such as Ajax. Having a clean and neat design, it has native support for queue and progress tracking. And if you are in search of a simple file uploader with a nifty design, then look through the Codepen. There are always some fantastic code snippets out there like File Upload or Responsive File Uploader. Which file uploading script do you use in projects? Do you have favorites? Do you have experience building a file upload system by yourself?